Fixed typo, some bad grammar, etc. in March's post on cavalry. No joke. Have done a post on Napoleonic cavalry for March. Once again discovered the topic was more complicated than expected. Post is more an outline of what I hoped to achieve than genuinely substantive, but I hope it's a useful overview for some of you at least. Did some light editing, mostly fixing spelling errors, of Post number 17 from July 2018. This post covers Bonaparte's presence in Egypt and Syria after the success of his initial invasion and the Battle of the Pyramids in July 1798. An entry for February with a post on the topic of Revolutionary and Napoleonic War Infantry Drill, Organization, and Tactics. 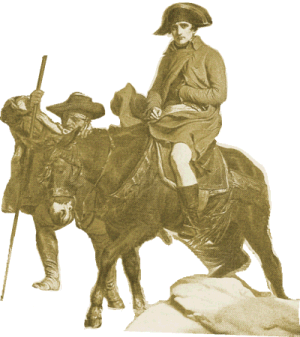 An entry for January with a post on the topic of Moreau's German Campaign in 1800. A hasty entry for December proper with a post on the topic of Bonaparte's Second Italian Campaign in 1800. Up to Marengo. So struggled with November's post on events in Europe while Bonaparte was absent in Egypt. Parts of it could use improvement but trust you'll find what's here interesting and informative. Please check out Europe without Bonaparte 1797-1800. Merry Christmas. Work on unfinished post for November revealed big holes in timeline regards 1799 and have partially fixed them. See timeline for 1799. Pretty clear at this point that won't be getting November's post (events in Europe while Bonaparte was in Egypt) actually finished while it's still November. Also flu shots are likely a good idea. The post for October is up. The topic is the war in Germany in 1796 and early 1797. As usual the post could easily have been longer and more detailed. I do hope what I have written will be found a useful overview of this neglected topic. September's post is up; the Revolutionary Wars from 1792 to 1795. Another interesting period hard to do justice to. It can be argued that the French Revolution was more important politically over the last couple of centuries than both the American War of Independence and the First Industrial Revolution in Britain. Both these important events being contemporary. The Revolution was tightly and inextricably interwined with the wars it fought with the rest of Europe. So without hyperbole we're talking about the origin of the modern world. From the practical point of making sense of the history this is a difficulty. You have the problem that is common with other times and civilizations that the actors had very different views of the world than the modern one. It takes a major effort to wrap ones head around those world views. However you also have the problem that issues that are relevant in our modern world tend to be controversial. Usually one difficulty or the other can be expected to predominate. This period has both problems in full. Awkward. There may be revisions to this post. Have post for August up; Egypt after Bonaparte's departure 1799-1801. An interesting period hard to do justice to. Also fixed the odd typo elsewhere and edited the entry for the Battle of Second Aboukir. Finally have post for July up; Bonaparte's occupation of Egypt and expedition into Syria 1798-1799. Turns out despite how the details are glossed over in high level summaries in English secondary works that a lot went on. Unfortunately the sources when available aren't all in English. This post could have used a lot more work and been longer. Quite long as it is though. Several maps too. Hope you find it interesting. Still working on post for July on how Bonaparte (and Desaix) conquered Egypt and the expedition into Syria. The Syrian expedition part in particular is incomplete. Do have a couple of nice maps done for it. Will likely be a couple of days before I have even a first draft ready to post. Fixed some of the worst typos in blog post for June on Bonaparte's Invasion of Egypt in 1798. Added blog post for June on Bonaparte's Invasion of Egypt in 1798. Only one map and a little rough in some places. Added blog post for May on Command and Control. Particularly Napoleon's use of the Army Corps system. Improved UI - with intuitive 3D graphical display of information and orders giving. Front end GUI vs. backend resolution engine. 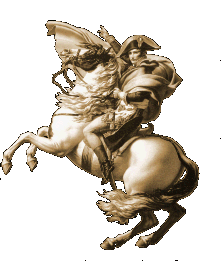 A shareware game called "Napoleon the Emperor" which covered the battle of Waterloo. 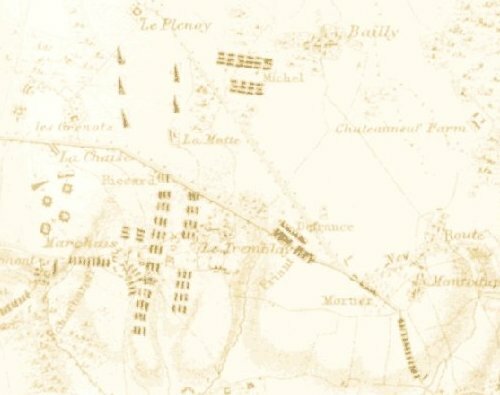 Registered versions added the battles of Ligny and Quartre Bras. This game was first released in 1996. It achieved it's design goals of being able to reproduce the historical battle with just a few hours of play. Unfortunately, the weakness of its User Interface and the AI for subordinate units detracted significantly from its playability. Rather to my surprise I've found copies of this game are still available on Web-Grognards. Payment and ordering information in these downloads is outdated. However, if you've played the Waterloo scenario and feel you'd like to have the Ligny and Quartre Bra ones mail me by clicking here. I'll e-mail you a free but generic copy. No warranty and the offer may not last. Please contact webmaster if you spot any problems with or have any comments on the website You can manually enter the e-mail address in your e-mail client as "webmaster", the number five, the "at" sign, and then "napoleonsims.com". Sorry for the inconvenience, but spammers will scrape direct links.